Welcome to 501Parts! Home of the Grabber Diff-Lock Kit! Here at 501 Parts, we specialize in your Yamaha 4wd system. From Diff Lock kits, to electrical parts, we carry every 4wd system related part that you will need to get all four wheels grabbing again. We offer free troubleshooting videos and service manuals, as well as savvy tech support. Our products ship fast and free and we stand behind each one. Save yourself some money! We’ll help you fix your problem on your own without expensive shop repair costs. The 4wd system on your Yamaha ATV or Side by Side is operated by a push button switch that sends power to a relay, which in turn sends power to the servo motor, which engages your 2wd, 4wd, and difflock. It’s easy to troubleshoot and repair these components without spending an arm and a leg. 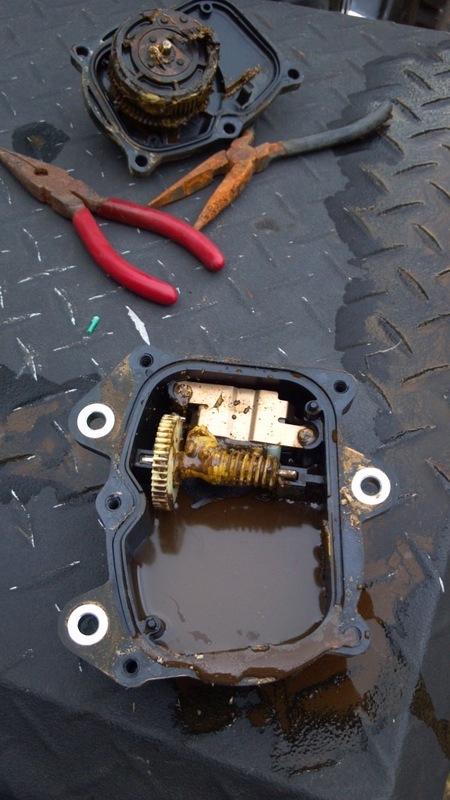 If you are unfamiliar with the 4wd system, see our troubleshooting page. It will help you identify, diagnose, and repair your 4wd issues as easy and inexpensive as possible. Still unsure where to go from here? Step 1- See our troubleshooting page to identify your 4wd components and figure what went wrong. Step 2- Found the problem or looking to upgrade? (click here for our products page) Having trouble? Contact us, we’ll help. Give us a chance to serve you, our #1 goal is your satisfaction! I really enjoyed your videos, if it wasn’t for them, my Kodiak would be at the dealer right now! With the help of your troubleshooting I managed to fix it myself and save myself a few hundred bucks! Thanks again! Thanks for all the help, your customer service is over the top. First Class. Always returned my calls and answered my questions. You get 5 stars! Thanks! The videos on 501parts are awesome!! 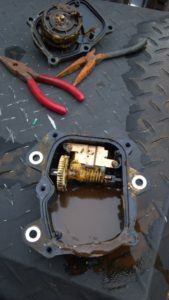 I was headed to the dealer to buy a brand new servo motor for $375 until I found out that the unit could be repaired without replacing the whole assembly. I opened the servo and this is what I found. After a call to 501parts, he told me how to clean out the case, I ordered a new servo motor and within a week, it arrived and my 4wd was like new again and only for $55! Thanks!